Palestinian Authority Prime Minister Salam Fayyad was evacuated from a demonstration in the West Bank on Friday, after Israeli soldiers fired teargas and rubber bullets at those protesting against an Israeli barrier. 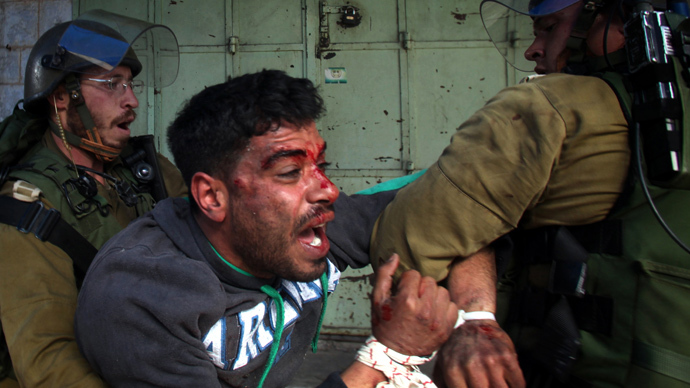 Palestinians say dozens were injured. 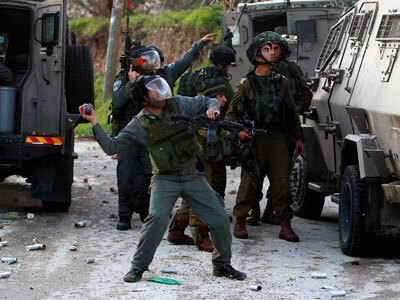 Fayyad was treated at the scene for teargas exposure, Israeli radio reported. 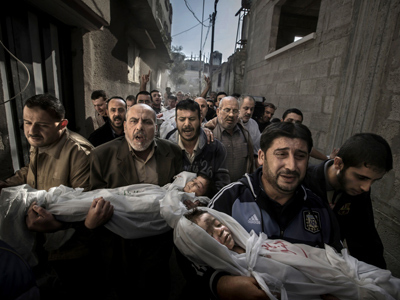 Mohammed Samhan of the Red Crescent humanitarian organization told the Times of Israel that dozens of Palestinian protesters were also treated for injuries. The rally, which took place in the village of Bil’in, marks eight years of protest against a barrier which was erected by Israel. Some 200 demonstrators took part in the protest, marching on the edge of the fence. Palestinians say the fence cuts off around 530 square kilometers of Palestinian land into Israeli territory. 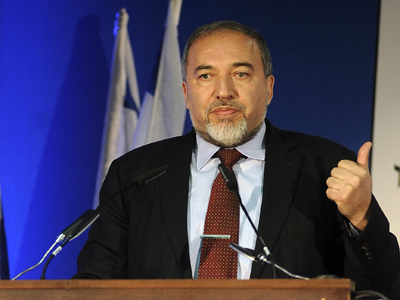 However, Israel says the wall is a necessary measure to deter Palestinian violence against Israeli civilians, citing a decrease in attacks since it was erected. The fence was built following a wave of violence last decade. During the protest, several young demonstrators began throwing stones at nearby IDF soldiers, prompting them to respond with crowd dispersal methods, Ynet News reported. An Israeli soldier was lightly wounded from the rock-throwing and treated at the scene, according to Israeli radio. Before being led away by his bodyguards, Fayyad addressed the marchers, saying that Bil’in had become “a shining example of popular resistance against the occupation, the settlements, and the fence.” In recent years, Bil’in has been the site of weekly demonstrations protesting against the security barrier. The procession was attended by other senior Palestinian officials, including Parliament members and the Ramallah governor. Participants also marched for Palestinian prisoners in Israeli jails, demanding the release of those on hunger strikes. They warned of a backlash if any of the inmates died. 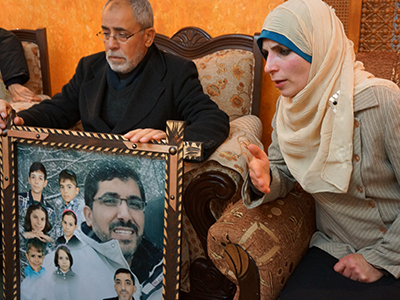 It was the third protest in aid of Palestinian prisoners to take place this week. 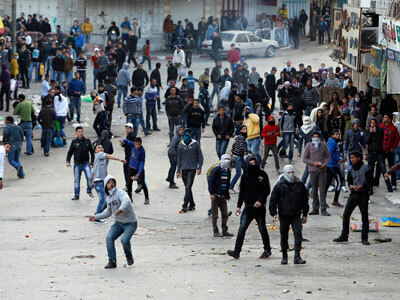 Riots also erupted in other West Bank locations on Friday, with hundreds of Palestinian protesters throwing rocks at Israeli security forces in Hawara. 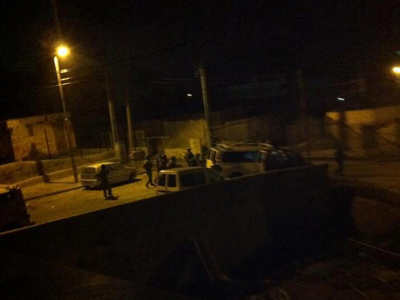 Minor clashes also took place in Abu Dis. Last Sunday and Monday, protests across the West Bank flared up, after Palestinian prisoner Arafat Jaradat died in jail. The Palestinian Authority has accused Israel of torturing Jaradat to death, although Tel Aviv says the man died of cardiac arrest.